MISCALCULATING the distance needed to safely land resulted in a plane with six people on board being damaged upon landing at Fair Isle. No-one was hurt during the incident on 16 May that saw a Piper Saratoga damage its tailplane and landing gear after it slid into the rough at the end of the runway. 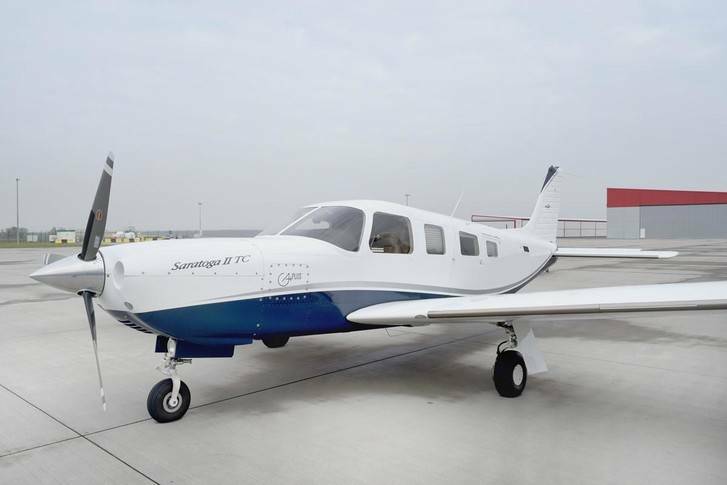 According to an Air Accidents Investigation Branch report published on Thursday, the 64-year-old pilot – who had landed at Fair Isle before – had enjoyed an uneventful 400-mile flight north in good weather. But he was “lulled into a false sense of security” before the landing by the pleasant journey. The single engine aircraft, with five passengers onboard, “experienced a sudden windshear” approaching the runway threshold, which created a large updraught and a noticeable headwind. This caused the aircraft to “balloon”, so the pilot reduced power and re-established his approach path. The plane then hit a downdraft and reduction in headwind that caused it to plummet and the pilot to accelerate upwards. Despite accelerating he continued to aim for his landing point. He thought he had landed fine and was breaking normally, but then realised the speed at which the plane was going. He briefly considered taking off, but decided he had enough runway to land safely. As the plane went through 90 degrees at the end of the runway, it hit loose gravel and slowly slid into the rough, partly collapsing its right main landing gear and bending up the “stabilator” on the tail plane. The report says that the pilot had consulted his operating handbook (POH) which stated the plane would need at least 210m of runway to land if it touched down at the airstrip threshold. This seemed achievable because of the 486m available at Fair Isle. The report notes that had the pilot referred to another graph for landing at 50ft above the threshold, he would have needed 500m of runway to make the landing. The report quotes an aeronautical information circular (AIC) which states that as well as allowing for variables such as runway surface and condition that are not included in the pilot handbook performance graphs, “a further safety factor of 43 per cent be included in landing calculations”.